It's true: a top-notch education isn't cheap—but Woodward's ability to let kids create their own path, guided by warm caring people, is absolutely priceless. Deep exploration of important issues through rigorous coursework and engaging conversations. Daily discovery of how we all can impact our global community through service to others and personal success. Diversity of learning styles, cultures, and socioeconomic backgrounds. When you invest in a Woodward Academy education, you ensure that your child will receive an unparalleled learning experience in a microcosm of the world. Learn more about financial planning for your child’s success at Woodward and beyond below. And remember, we're always here to help you, so please don't hesitate to reach out to our Admissions team at admissions@woodward.edu or 404.765.4001. A $3,500 non-refundable deposit is due upon enrollment. Lunch is included in the tuition for all grades. Textbooks are included in the tuition for pre-kindergarten through sixth grades. The Georgia High School Association (GHSA) guidelines mandate that tuition must be paid by a parent, legal guardian, or other family member with the exception of payments coming from need-based financial aid. For questions regarding additional fees, please contact the Business Office at accounts@woodward.edu. Students in grades 7-12 have the opportunity to apply for need-based financial grants. No merit-based (academic, artistic, or athletic) scholarships are awarded. The determination of financial aid is calculated by TADS, an independent third party. Once TADS has calculated the degree of need, the Woodward Academy Financial Aid Committee will determine the amount of the grant. Please note that the majority of grants are less than 50% of the annual tuition, and the average grant is $9,800. The Admissions Committee and the Financial Aid Committee are separate committees. A student’s acceptance or denial to the school is based solely on academic merit and without regard to the need for financial aid. Woodward Academy only accepts funding from the following scholarship programs: Georgia GOAL Scholarship Program and Georgia Special Needs Scholarship Program. Financial Aid information for current Woodward students can be found in the Parent Portal. Please note that the timeline below is for prospective families only. 5. The Financial Aid Committee will notify applicants of decisions by email on March 30, 2019. The Financial Aid Worksheet may prove to be helpful in your preparation for completion of the financial aid application. In order to be considered for financial aid, the financial information detailed above is required of both biological parents even in cases of divorce, separation, or estrangement. Candidates that fail to provide the required information, do not follow the guidelines, or miss deadlines may not be considered by the Financial Aid Committee. If you have any additional questions about financial aid, please email financialaid@woodward.edu. For families who choose full tuition, payment is due by June 15, 2019. 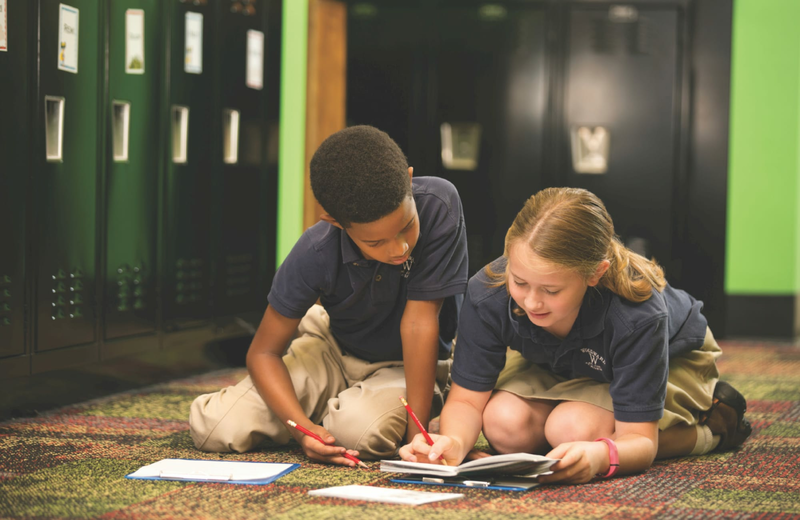 For the 2019-2020 school year, Woodward Academy offers an eight-month payment plan. Payments will begin in June 2019 and end in January 2020 and are automatically drafted from the parent(s) or guardian(s) bank account or credit card on the 15th of each applicable month. The Tuition Refund Plan is required if the parent(s) or guardian(s) responsible for payment chooses to pay via the monthly payment plan. Financing options are available through Springstone Financial's Your Tuition Solution Plan or Sallie Mae’s K-12 Family Education Loan Plan. The parent(s) or guardian(s) responsible for tuition payment is to apply to one of these options and secure payment to Woodward Academy by June 15, 2019. The school code needed to enroll with Sallie Mae is 60910900. There is no school code needed to enroll with Your Tuition Solution. For more information on the financed tuition options, please visit the Your Tuition Solution or Sallie Mae websites or call Springstone Financial's Your Tuition Solution at 1.800.920.9777 or Sallie Mae at 1.888.272.5543. The Tuition Refund Plan is available to students attending the first ten calendar days of the school year to assist families with the full-year tuition obligation in the event of illness, relocation, dismissal, or other unanticipated separation from the school. The cost of the Tuition Refund Plan is $480.00 per student. If you requested the Tuition Refund Plan on the enrollment agreement, the fee is payable with your first tuition payment according to the tuition plan selected on the enrollment agreement. If not selected during enrollment, the Tuition Refund Plan may be selected and the fee paid prior to the first day of school for coverage to be in effect.